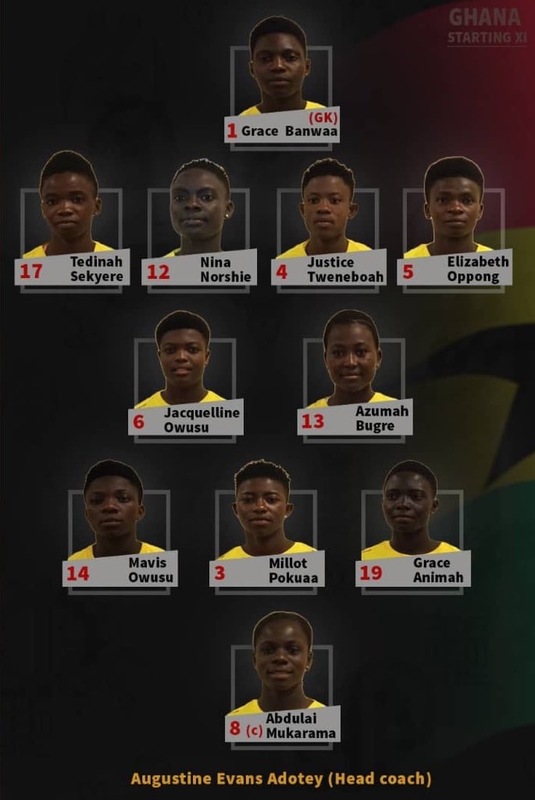 Coach Augustine Evans Adotey has maintained Ghana’s starting line up for Sunday’s FIFA Women’s World Cup quarterfinals match against Mexico. 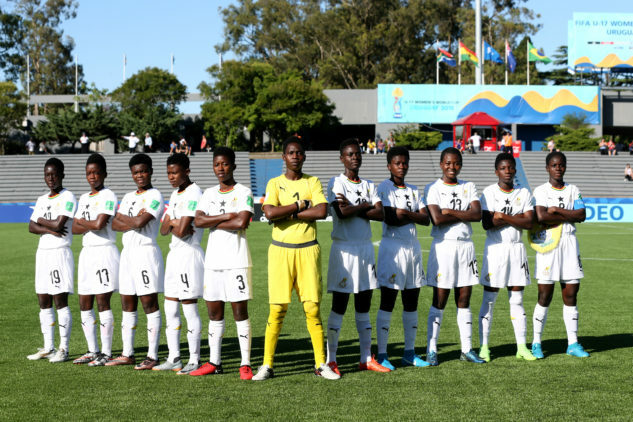 The Head coach of the National U17 female side retained the team that started the final group match against New Zealand which saw Ghana win 2-0. 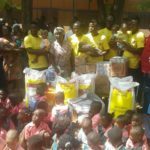 Ghana made it to the knock out stage of the competition with nine points after beating hosts Uruguay (5-0), Finland (3-1) and New Zealand (2-0) respectively. The Black Maidens are aiming to win to today’s game and qualify to the semifinals stage of the competition for the first time in 6 years. 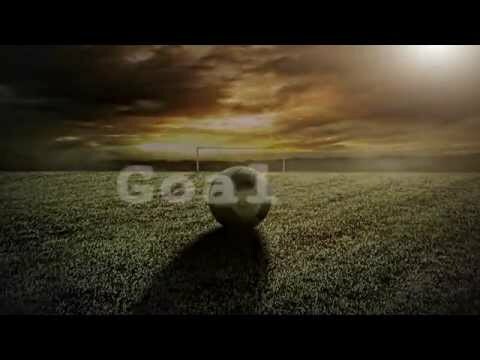 Ghana made it to the semis in 2012 and went on to win bronze, the first time an African country made it to the top three of the competition. The match is scheduled to kick off at 4pm (7pm GMT).